Our production of the world premiere musical, The William Penn Story was met with sold out houses and rave reviews. Hosted in the Oval Room of Lemon Hill Mansion in Fairmount Park, during the 2018 Philadelphia Fringe Festival, the intimate portrayal of William Penn's life and legacy, to music, was a completely thrilling experience for our audiences, our production team, and our ensemble of creator/players. The play featured four instrumentalist, piano, bass, guitar, and percussion; and four actors. ​ Original music from Adam Grode was used as the starting point in the creation of each song. Lyrics were written by David Wrigley, (with the exception of the lyrics in Hannah Penn's song "The Future's Mine", which were written by Danielle Defassio) over the course of two years of research and one year of rehearsals. As the band came together layers of music were added in a collaborative process which involved percussionist Ben Diamond, pianist Noah Donahue, guitarist Peter Duong, and the rest of the ensemble. 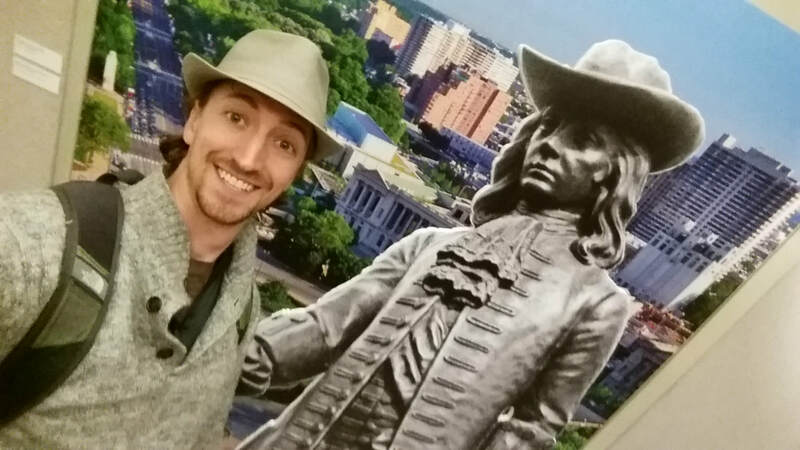 ​I had read William Penn’s words before and shared them with students of all ages, but I had never experienced them the way I did when I saw The William Penn Story. The range of musical styles breathed new life into Penn’s quotes on government, faith, family, and death. If given the chance to view this production, students will gain an emotional understanding of William Penn’s humanity – his hopes, joys, flaws, and struggles. I believe they will walk away wanting to learn more about Penn and his legacy. ​The BLTC somehow managed to do what every historian attempts to do with lectures, written works, and documentaries: simplify an otherwise complex historical narrative, retain its educational value, and engage their audience from start to finish. I am by no means a theatre person, nor do I see myself becoming one, but the William Penn Story had me hooked from the beginning. I would recommend this production to anyone, regardless of age, interest level, or otherwise. Well done indeed. 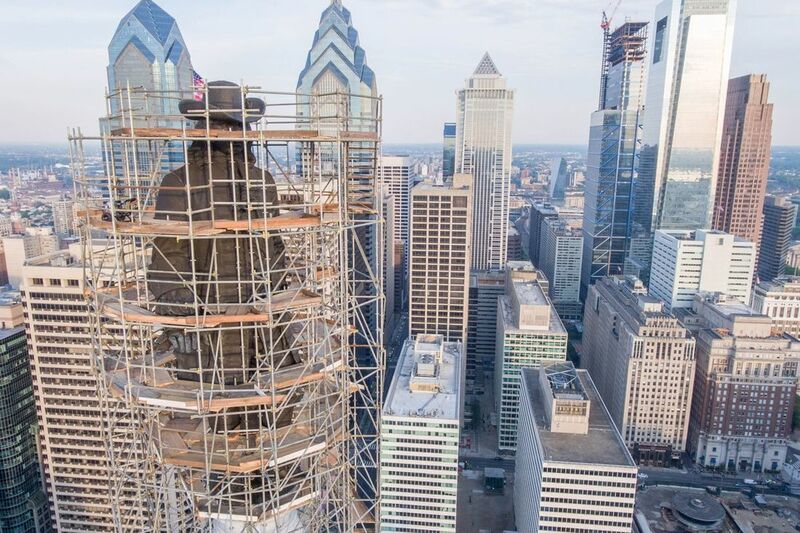 To further contextualize our oft-celebrated revolutionary era, we must explore the life and legacy of the Founding Fathers’ Founding Father, William Penn, and his Holy Experiment, the City of Brotherly Love, Philadelphia, Pennsylvania. 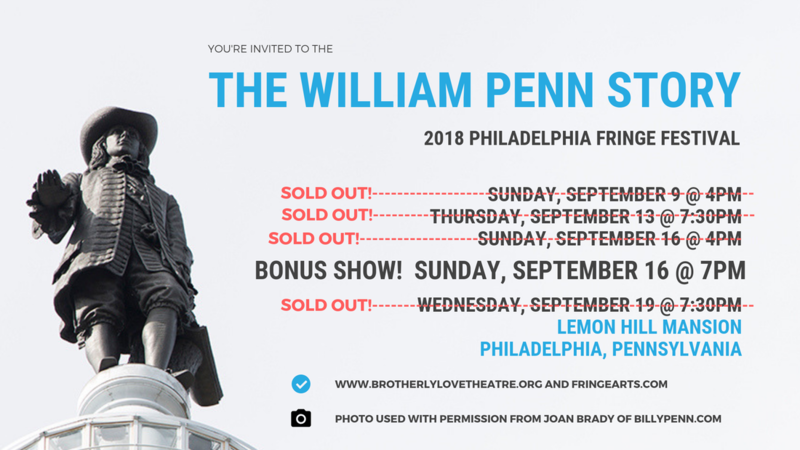 Philadelphia, PA – The William Penn Story, Brotherly Love Theatre Company explores the origin of its namesake and hometown’s founder through musical theatre. An amalgamation of jazz, funk, hip-hop, rock, and 17th Century Quaker ideology, The William Penn Story, inspired by productions like 1776, Bloody Bloody Andrew Jackson, and Hamilton: An American Musical, recounts the history of the civil disobedient, rebellious, faith-driven, utopian dreamer, and founder of Philadelphia. Intimate performances will be held at historic Lemon Hill Mansion in Fairmount Park, 801 Lemon Hill Drive, (ample free parking available!) on Sunday, September 9th at 4:00pm, Thursday, September 13th at 7:30pm, Sunday, September 16th at 4:00pm, and Wednesday, September 19th at 7:30pm. Tickets are available online at www.brotherlylovetheatre.org and www.fringearts.com. The show features a five-part band of musicians and a commanding team of actors who bring William Penn, his family, friends, and contemporaries to life. Piano, bass, guitar, mandolin, percussion, and powerful vocals come together in the concert version of this blossoming new musical. Brotherly Love Theatre Company (BLTC) is tackling its largest production to date. With light partnership from the authority on all-things-PENN, Pennsbury Manor: William Penn’s Country Estate, located on the Delaware River in Bucks County, BLTC hopes to expand upon and further develop this new musical. Former productions include 13 to 30: The Lost Years of Christ, HOME: A Philly Family Musical, and COSMOS: A One Act Musical Tribute to Carl Sagan. Artistic Director David Henry Wrigley is a prolific theatre maker whose short 20-30 minute science based plays can be seen nearly every month as part of The Franklin Institute’s Science After Hours programming. Musical Director Adam Grode is an accomplished ethnomusicologist, art historian, linguist, and a concert-lecturer. A Watson Fellow and Fulbright Scholar, Adam embarked upon several independent wanderjahrs along the Silk Road studying a family of long-necked lutes with local masters in Central Asia. At present, Adam is completing a Master’s at the University of Pennsylvania focusing on Silk Road Archaeomusicology during the Early Middle Ages. ​The Fringe Festival, presented by FringeArts, is a 17-day-long performing arts celebration taking over Philadelphia in September and boasting hundreds of performances by local, national and international artists. The party continues every night with FringeArts' Late Night programming in its beautiful venue on the Delaware waterfront - which houses the La Peg restaurant and bar, as well as a spectacular outdoor beer garden. FringeArts amplifies the cultural vibrancy of Philadelphia year-round by presenting the most cutting-edge, world-class performances from all over the world, cultivating local arts innovators, and creating a fun atmosphere for artists and art lovers alike to socialize, converse, and strengthen Philadelphia's artistic community. FringeArts is Philadelphia’s home for contemporary performing arts, showcasing arts innovators from around the globe and cultivating world-class Philadelphia- based artists. FringeArts plays a vital role in Philadelphia’s vibrant artistic community by presenting a year-round programming series of cutting-edge dance, theater, and music performances presented at its striking venue on the Delaware waterfront; the annual Fringe Festival which takes over Philadelphia with hundreds of artistically daring and socially engaging performances; and by providing opportunities for Philadelphia artists to develop and showcase new work. FringeArts believes in art making that tests boundaries—inspiring new ideas, passionate discussion and conceptual thinking, all essential for a healthy and vibrant society.